There are a lot of check boxes to cover to build a successful web design for coaches and consultants but the number one goal is to help you build more business. First, our websites are custom built with WordPress and integrate clear and compelling calls to action to help your business build new relationships and strengthen old ones. Design can have a big impact on building trust and retaining clients. With over thirty years of design experience, we pay attention to details and take pride in the design process. Next, through competitive and keyword research and analysis, we work with you to discover the best content development for your target audience. We'll build your website to reach that targeted audience. We're experts is organic search and design your website to maximize targeted organic traffic to your site. Additionally, we strive to make the process easy for you. We know you're busy. It's our job to leads you efficiently through the process. Our "done for you" approach is designed to make the process on your end as seamless as possible. 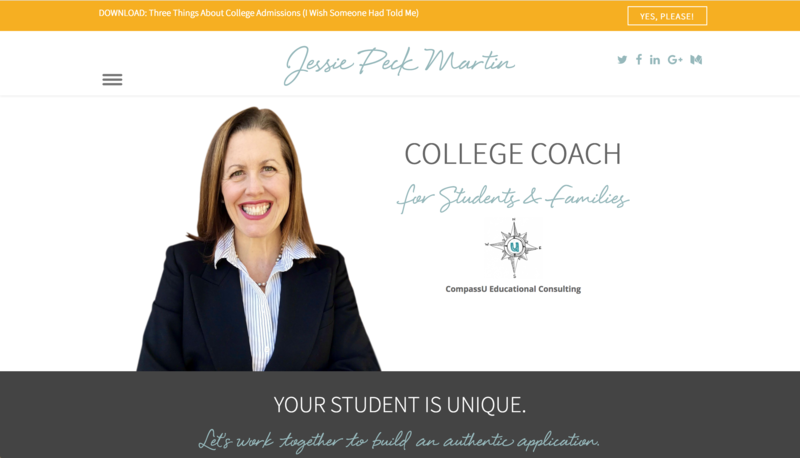 Jessie Peck Martin is devoted to helping her clients achieve their goal of successfully navigation the college admissions maze. Jessie uses the blog and her website as a lead generator educating her clients and notifying them of upcoming talks and events. This newly redesigned website helps provide a wealth of information on timely topics for students and parents. 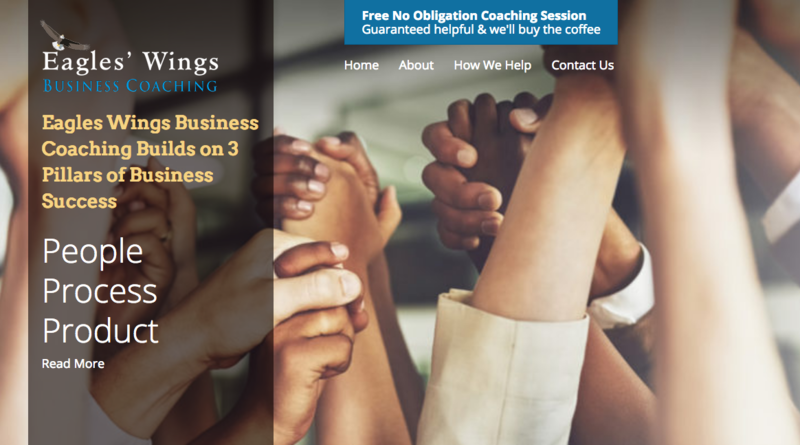 Eagles' Wings Business Coaching select us for their website redesign. They had several goals that needed to be achieved. Deliver responsive ongoing website and marketing support including email and webinar marketing. The website for Summit Investor Coach is designed as a educational web site, a news blog and a lead generator. 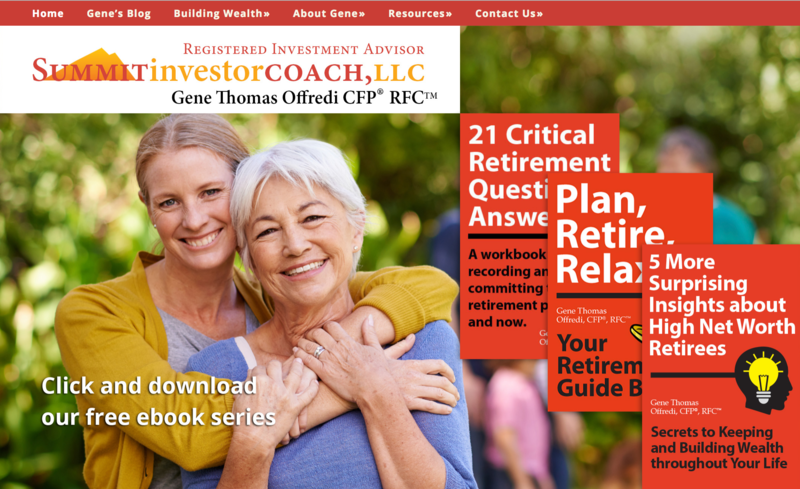 We manage the blog, and email newsletter and created 3 retirement books that can be downloaded or purchase on Amazon. 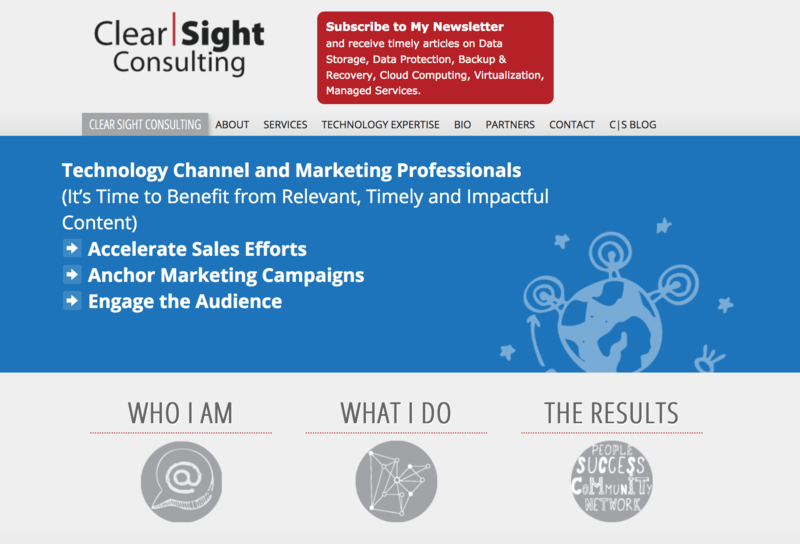 The website for Clear|Sight Consulting is a blog by Jeff Hine, an expert in Cloud Computing and Data Storage. It's also a way to find out about him and his services and as a way for his business to build their email list. Social media is a driver in his consulting business, but the website for Clear|Sight consulting plays an important role in helping people find him. 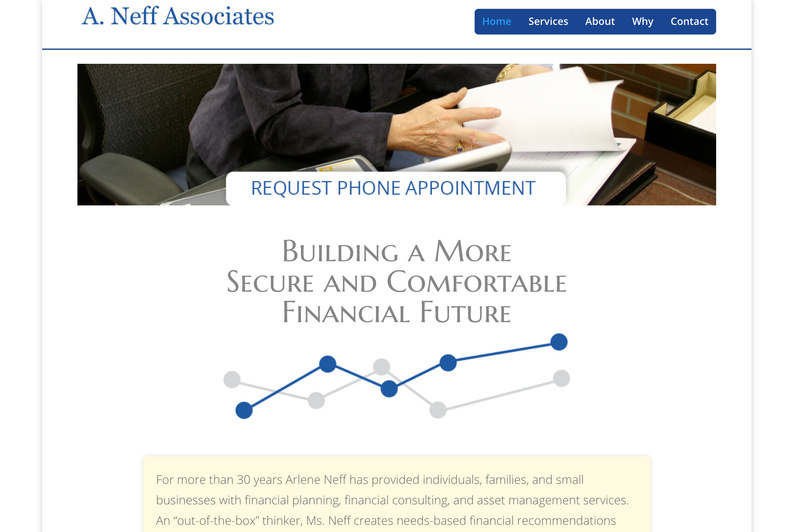 A. Neff Associates wanted a clear clean website that defined her business and her experience and to make an appointment by phone.